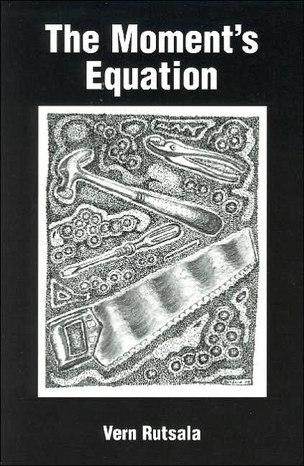 Vern Rutsala's The Moment's Equation was a finalist for the National Book Award. 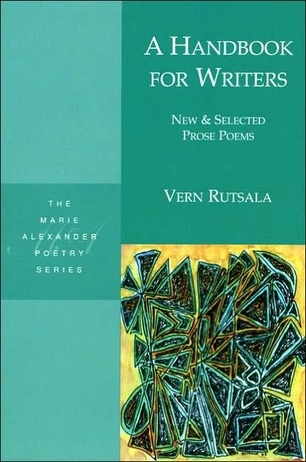 Other recent books include, A Handbook for Writers: New and Selected Prose Poems and How We Spent Our Time which was given the Akron Poetry Prize. 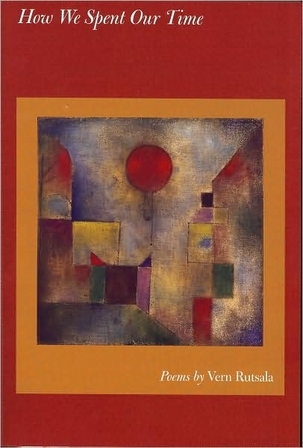 Earlier books include, The Window, Laments, The Journey Begins, Paragraphs, Walking Home from the Icehouse, Ruined Cities, Selected Poems (Oregon Book Award), and Little-Known Sports (Juniper Prize). 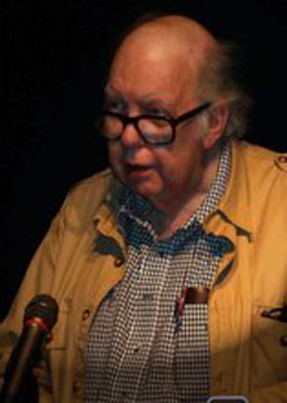 Other awards include a Guggenheim Fellowship, two NEA grants, a Masters Fellowship from the Oregon Arts Commission, two Carolyn Kizer Poetry Prizes, the Kenneth O. Hanson Award, the Mississippi Review Poetry Prize, the Duncan Lawrie Prize from the Arvon Foundation, a Pushcart Prize, the Northwest Poets Prize, and the Richard Snyder Prize. click any book cover on this page. just to make sure we got the point. able to cut in any direction. just before she took it all away. and later appeared in The Moment's Equation. your father's paycheck lets you eat and wear. no lunch money and pretending you're not hungry. the clerk shows impatience when you fumble with the change. and the shame of knowing how cheap such dreams are. and appeared in The Moment’s Equation. Suddenly tired of a single shoe? Are they some secret sign? Dangling one foot out the window? One shoe falling off in a dream? But how are they lost? Allows single shoes to fall from sealed cars? So hungry without their feet. and later appeared in Ruined Cities and Selected Poems. Writer's Tip: Object Lesson: Tolstoy wrote seven drafts of War and Peace. Return to The Poets table of contents. poetry.us.com copyright © Mark Thalman, 2010 to 2016 All rights reserved.